Under the London Help to Buy scheme, purchasers need just a five per cent deposit (£23,999). The government lends up to forty per cent of the purchase price, which is interest free for five years, and home-buyers arrange a mortgage for the remainder. Families will appreciate the choice of schools nearby, including Southbury Leisure Centre and Kingsmead School, a mixed secondary school and sixth form with academy status. Other good schools in the area include Enfield County School, a girls’ comprehensive school (two miles away) and Lea Valley High School, Enfield’s first specialist sports college (three miles away). From Seven Sisters underground station, 4.5 miles away, it’s just nine minutes to King’s Cross and 13 minutes to Oxford Circus. The motorway network is easily accessible via Junction 25 of the M25, which is two miles north of the development. 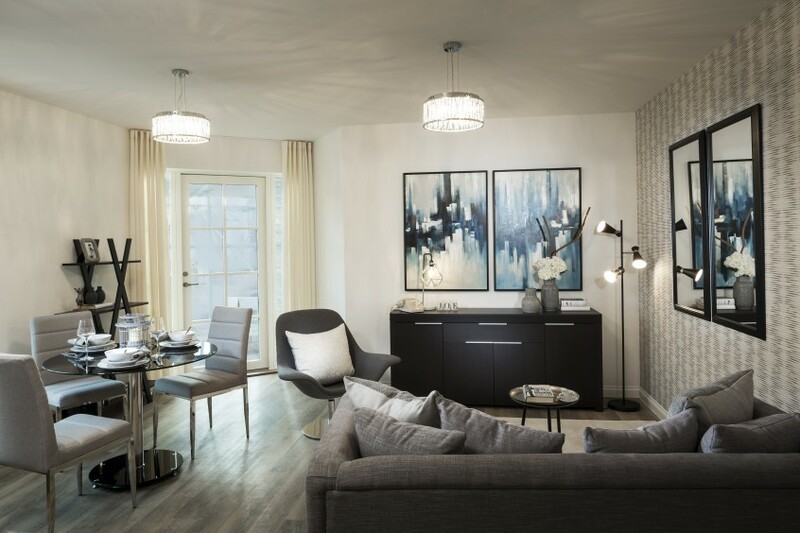 For more information about The Electric Quarter please call the marketing suite on 0203 811 3324 or visit www.lovellnewhomes.co.uk/developments/london/the-electric-quarter/location. 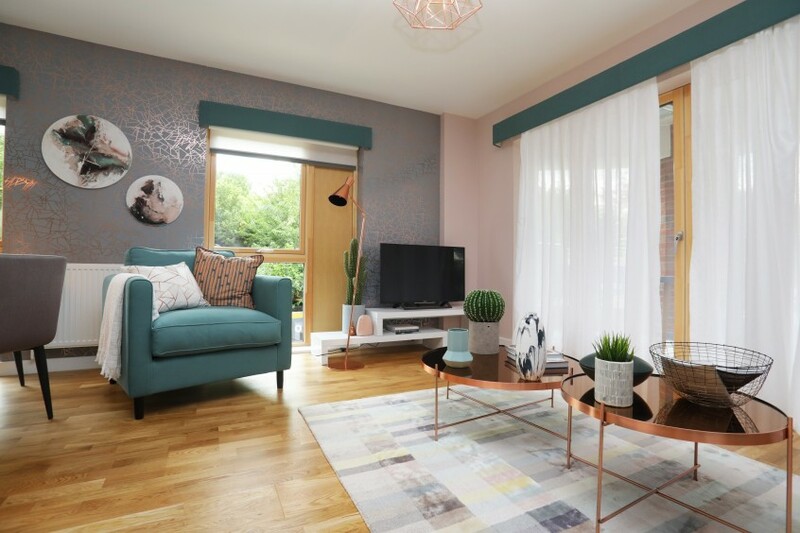 Growing families looking for a spacious new house in Wokingham, available to buy with shared ownership, should make a beeline for So Resi Wokingham where So Resi – Thames Valley Housing’s shared ownership brand – has recently opened a superb four-bedroom show home. 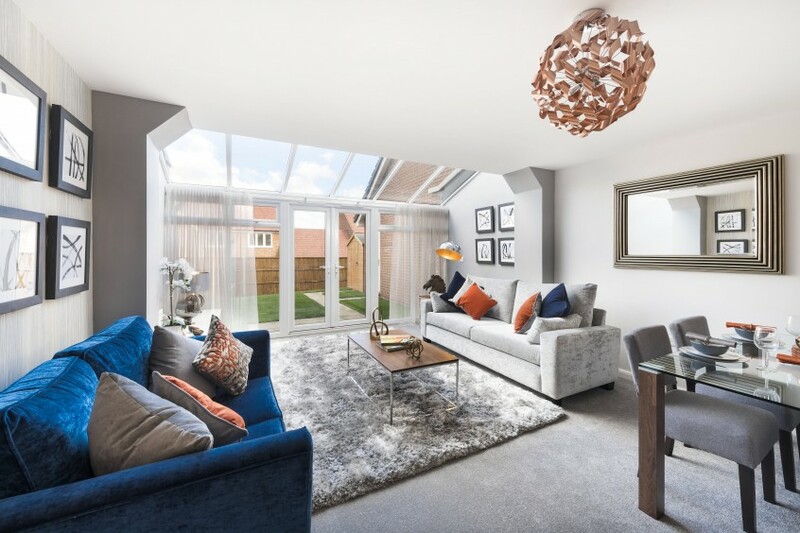 The show home highlights the impressive quality of these three and four-bedroom semi-detached houses, which offer exceptional value; prices for a four-bedroom house start from just £148,125 for a 25% per cent share (full market value £592,500). With a more traditional layout, the three-bedroom homes have two storeys and feature a separate kitchen. 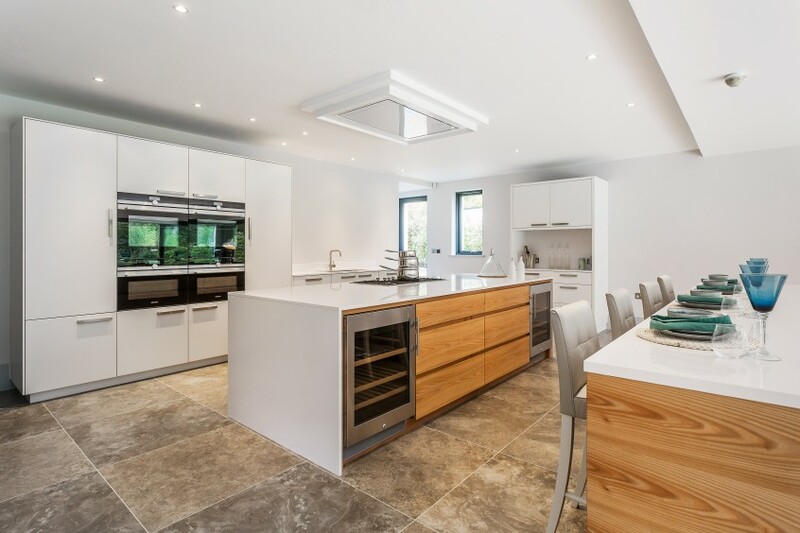 The excellent specification of the homes includes a stylish white Symphony kitchen fitted the latest appliances; high-quality ceramic floor tiles in the kitchen and bathrooms; fitted wardrobes in the master bedroom and carpets in the living areas – all included as standard. 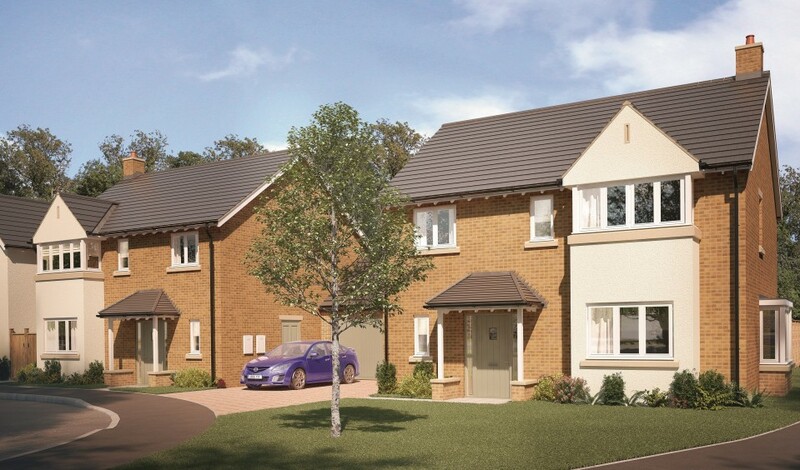 Every home has allocated parking with car ports and garages to selected properties. For commuters, the mainline station is 1.8 miles away; trains reach Reading in nine minutes, Guildford in 28 minutes and London Waterloo in 68 minutes. When the Elizabeth Line (Crossrail) opens at Reading station in 2019, passengers will be able to travel through central London without needing to change trains. 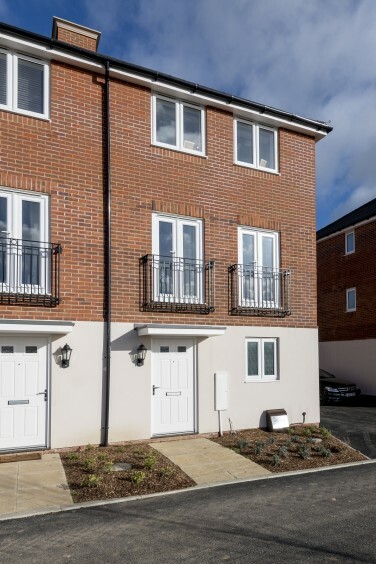 Currently available at So Resi Wokingham are three-bedroom houses priced at £200,000 for a 40% share (full market value £500,000) and four-bedroom houses costing £148,125 for a 25% share (full market value £592,500). A selection of two-bedroom apartments will shortly be launched. To find out how So Resi makes it easy to buy your new shared ownership home, call 0208 607 0550 or visit www.soresi.co.uk. 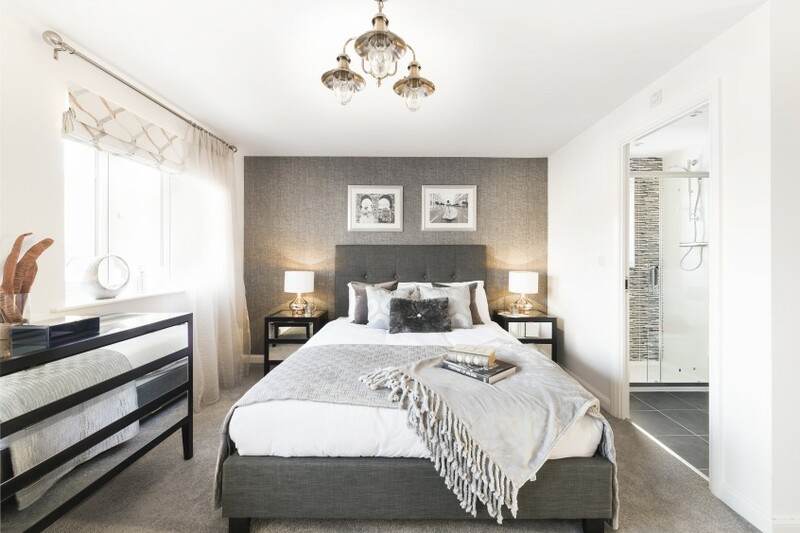 Following the release of the first phase of homes, a new collection of two, three and four-bedroom houses is being released for sale at Wexham Green, a new housing development in an attractive semi-rural location close to Stoke Poges in Berkshire. Thirteen homes are now finished and the first residents have moved in, marking an exciting milestone for this flourishing neighbourhood. 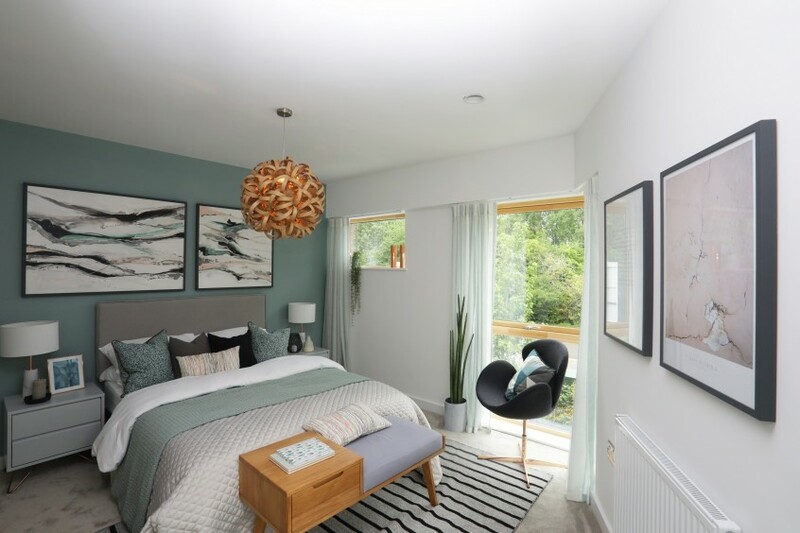 A three-bedroom showhome and four-bedroom showhome are open for viewing and showcase the high quality of the homes, which start from just £385,000 for a two-bedroom house. 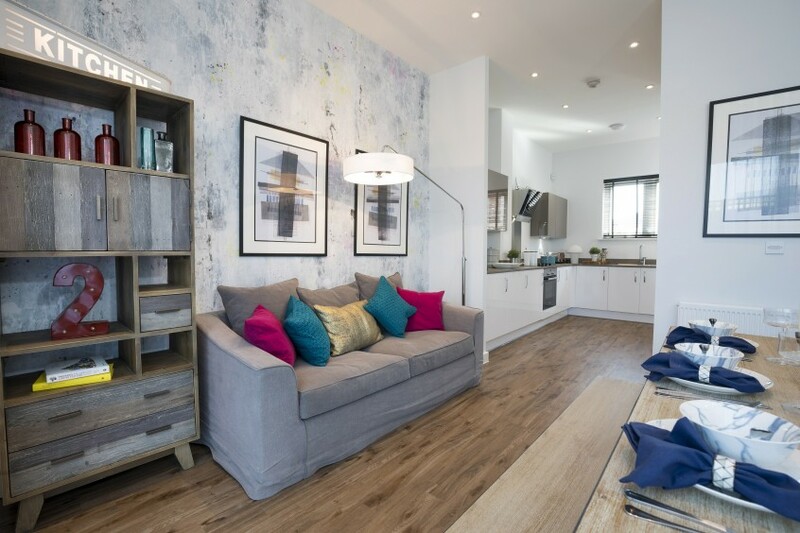 Help to Buy makes these homes even more accessible to homebuyers who pay a five per cent deposit (£19,250) and benefit from a 20 per cent government loan, which is interest free for five years. For buyers with an existing property to sell, an Assisted Move scheme where liaison with estate agents and solicitors is handled on the homebuyers’ behalf is available and can be combined with the Help to Buy scheme. The homes at Wexham Green are beautifully presented and blend traditional exterior features with comfortable high-quality interiors. 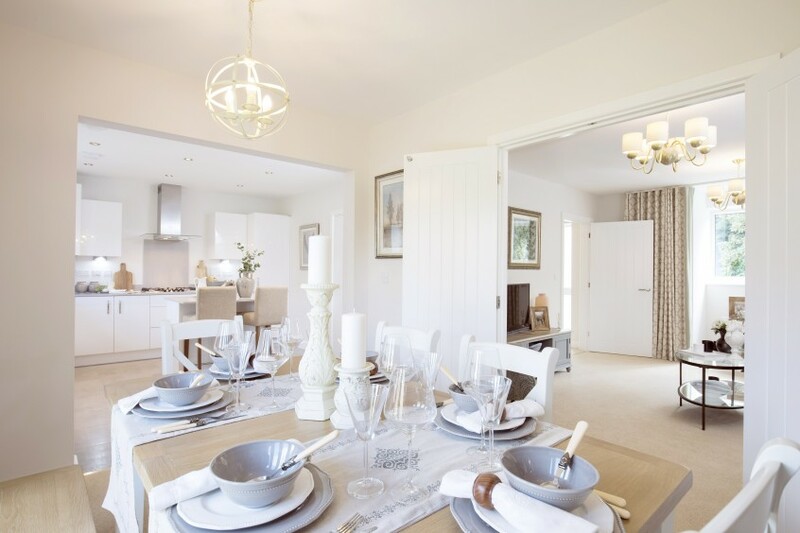 Inside, these high-specification homes are designed for comfortable, modern lifestyles with something for everyone including fully-fitted Symphony kitchens with smart integrated appliances that are practical and stylish. Each home has a rear garden and patio, and some have their own garage; typical of the attention to detail is the electric car charging point in each garage, an eco-friendly addition that is rarely found in new homes. Day-to-day living at Wexham Green is very convenient. 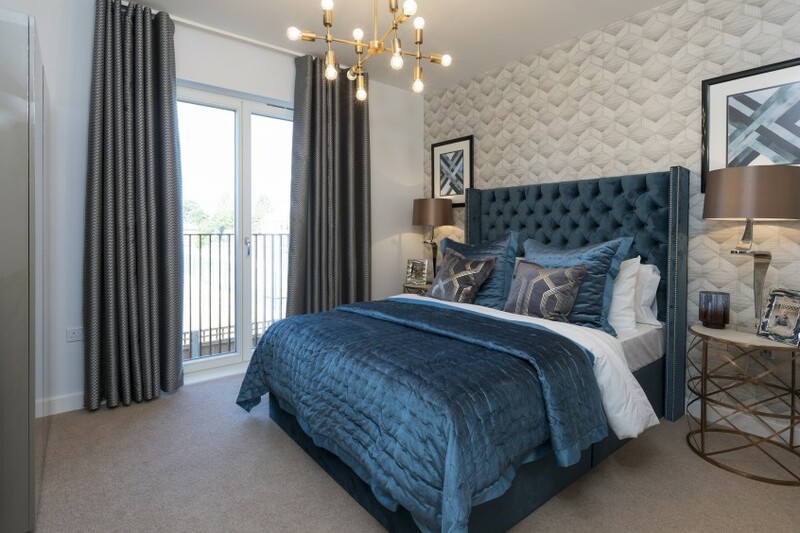 The homes are close to a wide choice of shops, restaurants and entertainment in Windsor, Gerrards Cross and Reading, and there are also very good facilities on the doorstep in nearby Slough centre, just a mile and a half away. For leisurely days out, there is plenty to do in the area. The historic Grade II-listed parkland of the Langley Park Estate is only 2.6 miles from Wexham Green and The Chilterns, an Area of Outstanding Natural Beauty, is just 20 miles away. Families will appreciate the wide choice of excellent nursery, primary and secondary schools. Nearby schools rated Outstanding by Ofsted include Khalsa Primary School and Baylis Court School, for girls aged 11-18 years. St Bernard’s Catholic Grammar School also achieves excellent results. Wexham School, a designated Sports College, continues to receive a Good rating and is part of Slough Borough Council’s ambitious school places programme – a multi-million pound investment in primary and secondary school buildings. Getting around from Wexham Green is very easy. It is close to the M4 corridor, which leads directly to Reading, Heathrow and the wider motorway network. From Slough mainline station it is just 16 minutes to Paddington and in 2019, the arrival of Crossrail 2 – the new high-frequency, high-capacity railway for London and the South East – will provide more direct routes into the capital and cut travel times. Enhanced transport links and the wider ongoing investment in the area mean that Wexham is Green is an exciting potential investment for new homebuyers. 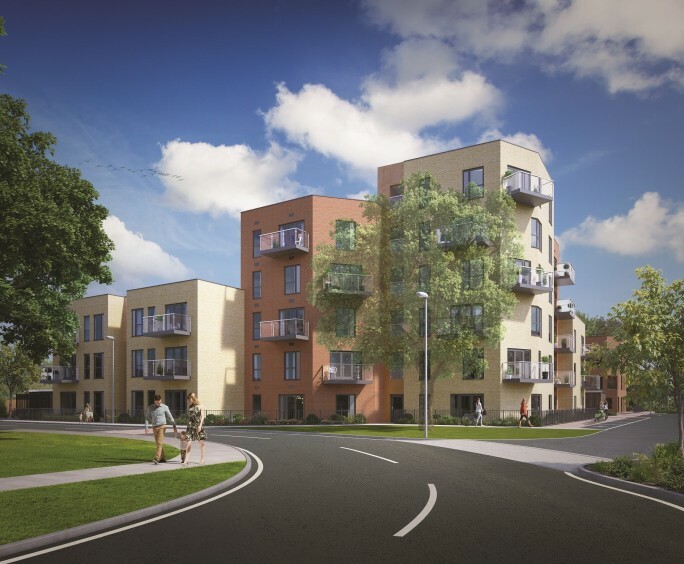 Wexham Green, a collection of 104 two, three and four-bedroom homes, is being delivered by Slough Urban Renewal (SUR), a joint venture between Slough Borough Council and Morgan Sindall Investments. The partnership is investing in Slough to create, in addition to new housing developments, new schools, restaurants, hotels and leisure facilities. 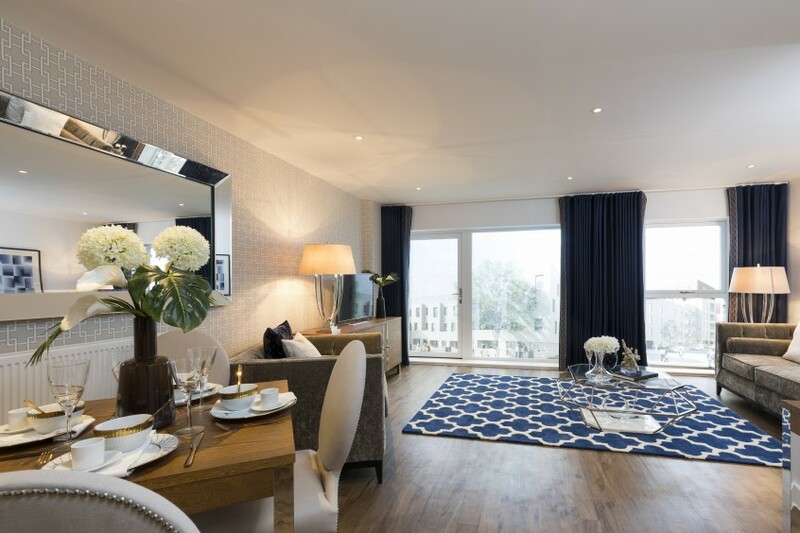 For more information about Wexham Green, please call the marketing suite on 01753 468578. We’re delighted to introduce our new press assistant, Isabelle Gray, who joined the Property House Marketing (PHM) team this month. Izzy arrives at PHM following three years in the hospitality industry working for a boutique hotel in Cornwall, experience which has taught her how to manage high-pressure environments and a busy schedule. After time spent travelling in Australia and South East Asia, Izzy is looking forward to embracing all things Property and PR. Her dream house would be a modern Scandinavian style house in the woods with large windows to allow plenty of natural light in to highlight the rich wooden interiors. A log burner is essential to give a real sense of ‘hygge’! While you’re here, why not meet the rest of the PHM team. Across town with the costs down! News hit last week that millions of rail users in the UK will see the price of regulated rail fares rise by up to 3.6% this month. With commuters said to be the worst-hit by the increase, which is the highest since January 2013, we’ve taken a look at homes ideally located near alternative modes of transport which provide more beneficial routes in to work both financially and in terms of health. Trinity Walk by Lovell Homes is situated in Woolwich, South East London meaning you can fly to work via the Emirates Air Line, which provides a cable car link across the River Thames between the Greenwich Peninsula and the Royal Victoria Docks. This quirky mode of transport is operated by Transport for London and the duration of a single crossing is reduced to just five minutes in rush hour. Prices start at £3.50 per ticket each way, which equates to just £161 per calendar month if there is the maximum of 23 working days in the month. If you’re afraid of heights, why not take the River Bus Express, which operates from 20 piers between Putney and Woolwich. Your journey is made even easier now you can use contactless or Oyster cards to pay. 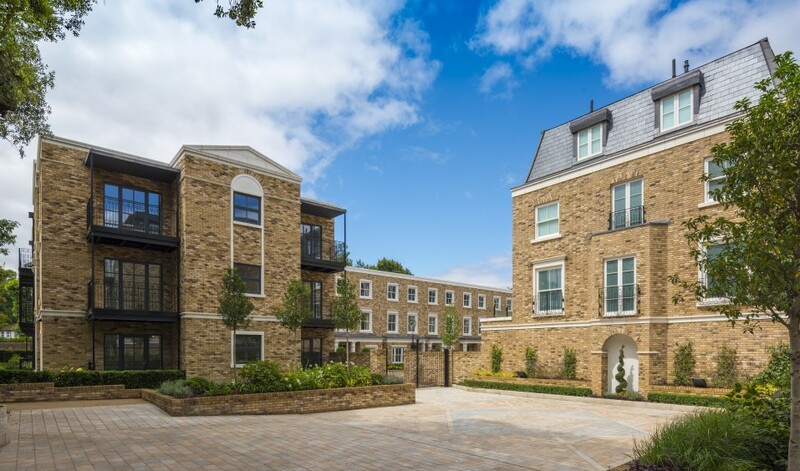 The homes at Chiswick Gate, which are available through shared ownership with Thames Valley Housing, are conveniently located to give residents access to a wide number of cycle paths in and around Chiswick. These paths provide residents with an alternative and active route in to work, and is also both economical and environmentally friendly, plus you can ride by Chiswick House and Gardens for a more scenic route. At PHM we like to keep up with the latest goings-on, so make sure you check out our other blogs to see what we’ve been up to and for some of our top PR tips and opinions! 2017: The beginning of the end? 2017 could well be the year that the property market started to go into reverse – after years of rising house prices, the lack of affordable housing isn’t just affecting those who are struggling to get onto the property ladder, but also those trying to sell their homes in London and the South East as the pool of possible buyers shrinks. But what of PR? The past 12 months have seen a real shift in the way businesses communicate. Political leaders have been taking social media matters into their own hands, taking responsibility for their own digital marketing as opposed to hiding behind a slick team of experts. Sometimes it works, as the UK election campaign is anything to go by, and sometimes (no need to mention names), the results are highly controversial. The ethics of communications have also been pushed into the spotlight this year as one of the largest and most well-know PR firms in the world found itself in the center of a scandal, perhaps casting doubt on the reputation of an industry that often exists to protect reputations. However, the need for consistent, strong and transparent communications remains vital. Efficient and effective PR management and guidance plays a dual role – simultaneously sharing the story and considering the risks. Great PR will see your message distributed to your target audiences cautiously but confidently, ensuring that the perception of your product in the minds of your stakeholders is unshakeably positive. Times may well be a changin’, but PR remains central to a successful communications strategy and will continue to be so, especially if the waters get choppy. Its been a busy year, for us and for the property industry; we very much look forward to seeing what 2018 will bring but until then, Merry Christmas! With the festive season drawing in, a time synonymous with parties and entertaining, we’ve put together a roundup of homes which all benefit from beautifully designed open-plan living spaces and a range of unique features ideal for entertaining guests. West House is a five bedroom, 5000 sq. 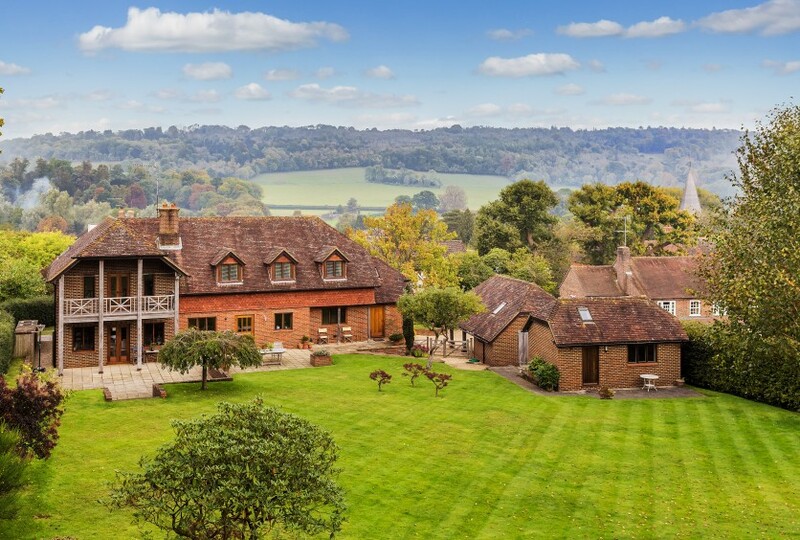 ft. home in the secluded Surrey Hills location of South Holmwood, near Dorking. Featuring sublime proportions, this light and airy property was made for entertaining. 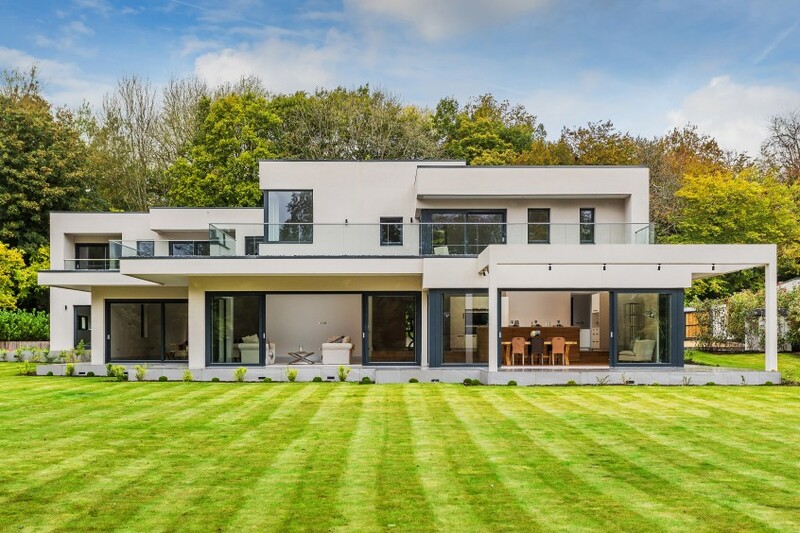 The kitchen, dining room, drawing room, family room and entrance hall all have underfloor heating, floor to ceiling windows and large terraces, making this home the ideal party pad, plus the separate kitchenette can be used for catering dinner parties. The seller is also willing to pay the stamp duty, saving the buyer thousands. This five-bedroom, three-bathroom family home in Shere, Surrey (where classic Christmas film, The Holiday, was filmed) is set within a 0.9 acre plot with stunning views over the adjoining farmland and surrounding hills. Internally, the home comprises a vaulted entrance hall, drawing room, dining room, family room and study- so there’s plenty of room for entertaining guests. 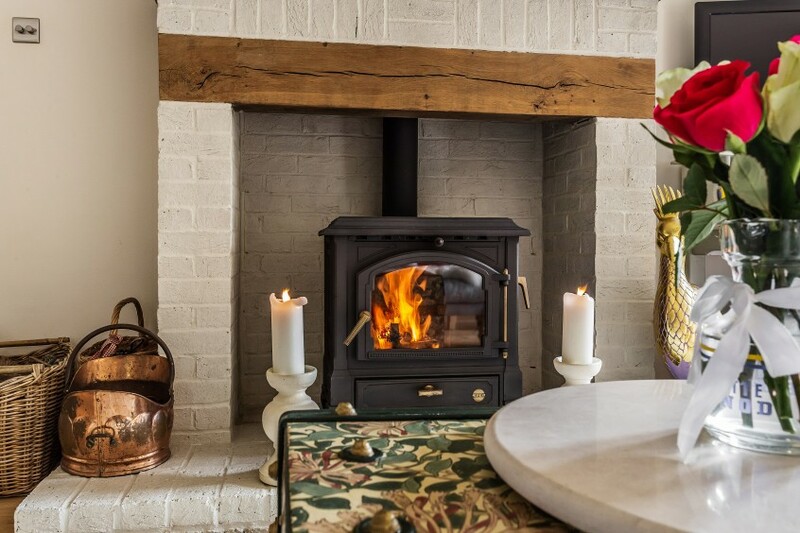 The drawing room boasts a cosy energy efficient wood burner which releases heat slowly through its cast iron shell, providing the perfect retreat at the end of the night. Externally, Shere View House benefits from a private gravelled driveway with space for eight cars, a detached ancillary accommodation with mezzanine level, kitchenette and bathroom as well as a detached heritage barn style garage, car port and garden/machinery store with a beautifully landscaped front garden. 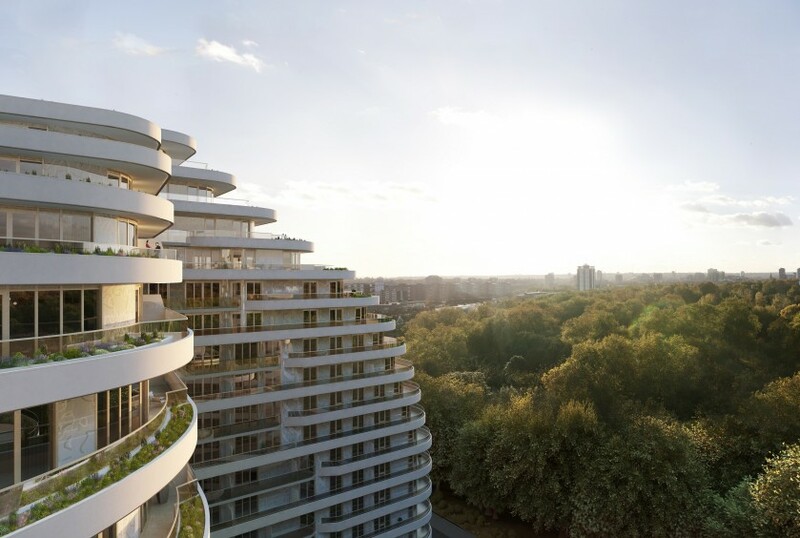 Stylish and modern, Vista combines remarkable architecture, cosmopolitan homes and an irresistible London location – close to both the river and the greenery of Battersea Park. 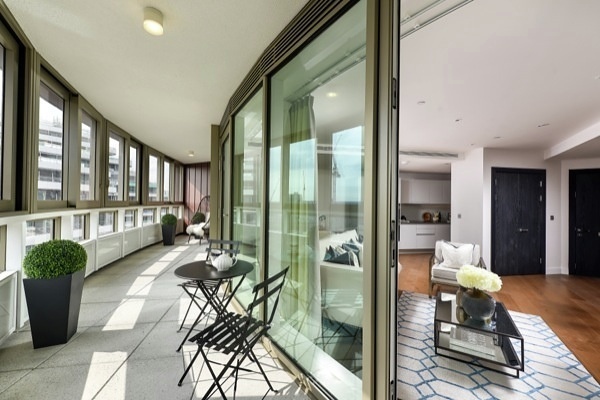 All of the apartments deliver private outside space in the form of a glass-fronted balcony, wraparound terrace or winter garden; with many offering beautiful views across Battersea Park or the iconic power station, a perfect backdrop to an evening of entertaining. Residents can burn off those extra calories after a night or two of indulgence in the luxury leisure suite which features a vitality pool, state-of-the-art gym and sauna.